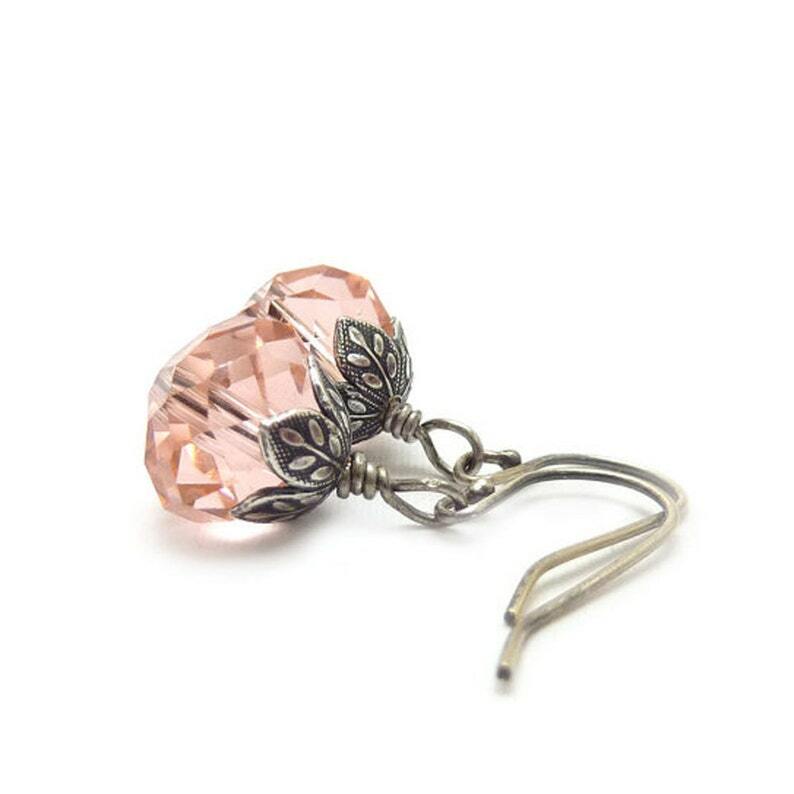 Ultra feminine earrings in a stunning antique pink with silver bead caps in a floral design. The faceted glass beads have a great shimmer and dangle gracefully on the ear. I oxidized sterling silver ear wires to compliment the antiqued look. These earrings are so dainty and pretty. They're perfect for bridal parties and special occasions. Please contact me if you need multiples of this item. * 1" (2.5 cm) long from the top of the ear wire. Your jewelry will arrive in a gift box. Free shipping to the US. Free shipping to the US.